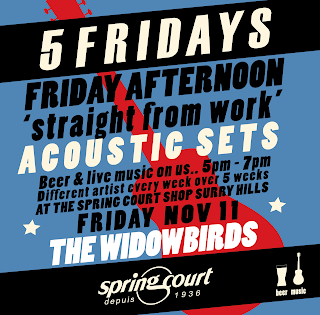 Joining us this week for our Friday arvo acoustic set we have The Widowbirds supplying the tunes. 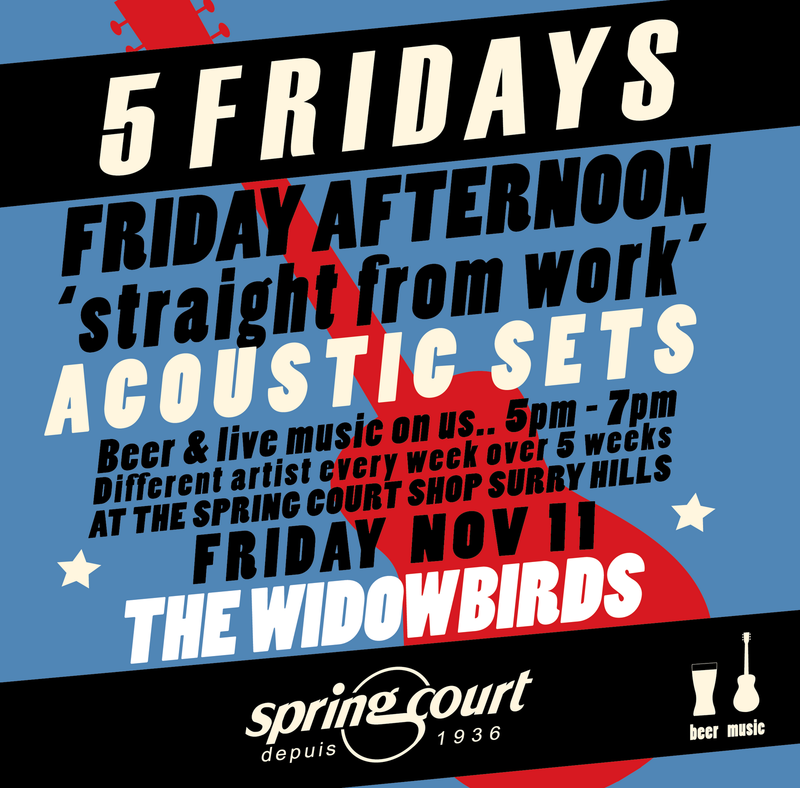 5pm - 7pm at the Spring Court Store Surry Hills, beer provided. Perfect!